Maltese diver Reuben Silvio who was injured last summer when the Steve Irwin rammed the tuna cages where he was hanging on for dear life. The Maltese tuna company that took on the Sea Shepherd and filed a civil lawsuit for damages in the English High Court is confident it can win the case. “I hope justice wins. I’m confident we can win the case, otherwise we wouldn’t have pursued it in court,” Fish and Fish director Joe Caruana told The Sunday Times. Mr Caruana said he had specifically waited for the tuna season to close before pursuing the case to avoid being accused of having ulterior motives to obstruct the Sea Shepherd’s mission. The Steve Irwin, the flagship vessel of this non-profit marine wildlife conservation society, is being detained in Scotland – and will only be released against a bond of $1.4 million – after Fish and Fish claimed damages over an incident last summer off the Libyan coast. In June 2010 the Steve Irwin had rammed the pen owned by Fish and Fish to free the bluefin tuna its crew believed was caught illegally, seriously injuring a Maltese diver in the process. At the time, Rural Affairs Ministry had defended the fishing operation, insisting all the paperwork was in order, and condemned the attack. Fish and Fish had estimated that the cost of losing 600 fish, weighing some 35 tons, coupled with the damage caused and the lawsuit, would reach €1 million. It seems the international conservation society, known for its fearless tactics in defending ocean wildlife on the high seas, has met its match in the form of Fish and Fish. 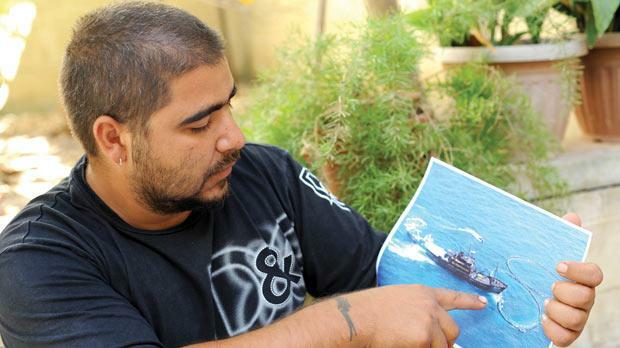 “Sea Shepherd nearly killed one of my men. It cannot continue behaving this way. My aim is for justice to be done. I wanted to show that we mean business and we will fight our cause,” Mr Caruana said yesterday. He believes the case should not drag on for longer than a month, especially since he does not need to prove the incident happened. What has to be established is that Fish and Fish’s operations were legal. “We believe it is legal, but Sea Shepherd is contesting it,” Mr Caruana said. Captain Paul Watson, the Steve Irwin’s commander, is in the meantime hoping to raise enough money to release the ship, because under English law if the ship is held for more than 30 days it can be seized and sold. However, Mr Caruana said despite the Sea Shepherd’s appeal in court last Friday, the English judge still did not release the Steve Irwin in the light of all the documentation provided by Fish and Fish. Attempts to contact Capt. Watson for a reaction proved futile. Mr Caruana said: “It’s not fair of Capt. Watson to tarnish our reputation. I had to do this. We could also not continue working in fear every time the tuna season opens. Capt. Watson has been saying a lot of things.